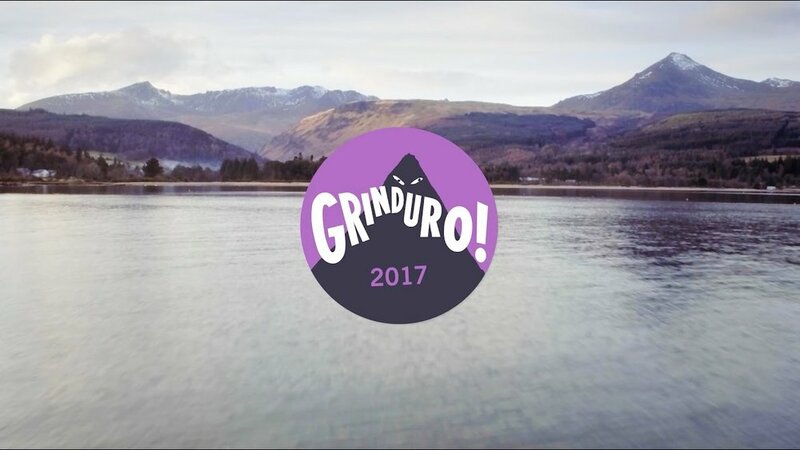 GRINDURO Scotland: A new kind of bike race. Grinduro Scotland is 60-mile loop over a mix of gravel roads, singletrack, and pavement, on theIsland of Arran. GRINDURO may look quite similar to "Gravel Grinder" or "Moutain enduro bike style"; a long loop of pavement and dirt, where finishing times are not based on the overall loop time, but four segments. But Grinduro is not just a bike race. It is a celebration of cycling with as much emphasis on the party as the race, with excellent food, an impressive art exhibition and incredible handmade bicycles, live music, free camping and a festival atmosphere. Check out this preview of the Grinduro Scotland course on the Isle of Arran! Arran is quickly becoming one of the UK’s must ride destinations, with trails ranging from steep and technical to fast and flowing. In other words, it’s the perfect location to host Grinduro. This event combines the best attributes of gravel road races with the best parts of mountain bike-style enduros. It’s a 77km loop of pavement and dirt, where finishing times aren’t based on overall loop time, but four timed segments. Grinduro Scotland will be based in the village of Lamlash in a beautiful sheltered bay that overlooks the impressive Holy Island. This is where it all happens, from the Bike and Art Gallery to the post-race music festival and party. This is also where the route departs from, heading out on a mix of forest roads and singletrack trails that offer expansive vistas along the way. After a return to the event village for lunch, the afternoon loop heads north, offering more singletrack and a visit to the grounds of Brodick Castle. Some testing climbs give more amazing views, before descending a cliff top trail to the finish.